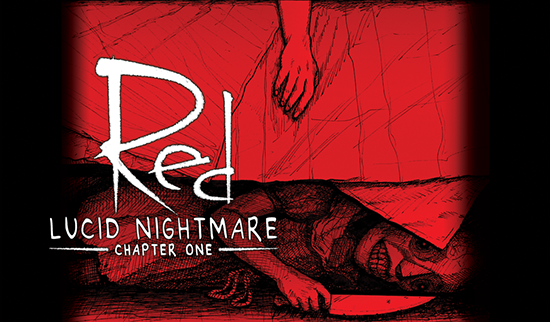 RED: Lucid Nightmare is a Survival-Horror Adventure game where players investigate the disappearance of a family during the day and navigate deadly nightmares at night. You play as Mercedes, a down on her luck investigative journalist moving back into her family's remote mountain home after an accident. After being pulled into a case by an old friend she must discover the connection between her worsening nightmares and the missing family before it's too late. RED is a psychological horror game that has elements of survival horror, each night presents new challenges and things to discover. In the nightmare, you will be armed with a lighter, flashlight, and later, a radio. Watch out for traps, some will impair your ability to move and others will take your life. Listen carefully and tread lightly. Monsters lurk the twisted corridors tracking your moves. When the path seems safe enough, look around, absorb the environment, and uncover hidden clues. Red door rooms play a major role in returning to reality. After escaping from the nightmare realm you’ll take part in a missing person’s case and have time to explore Mercedes’ home.